Found our Shot at Gold! Today we spent our day looking for kelps. There was a lot of kelps but we had to be selective and persist through many empty's until we were able to find one that was holding. 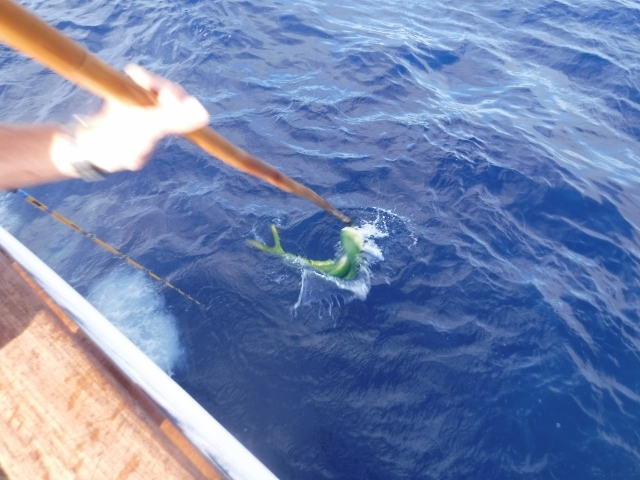 The fruitful kelp for us had beautiful Dorado that wanted to bite.It was a chaotic 30 minutes of biting fish, but we made the most out of it. 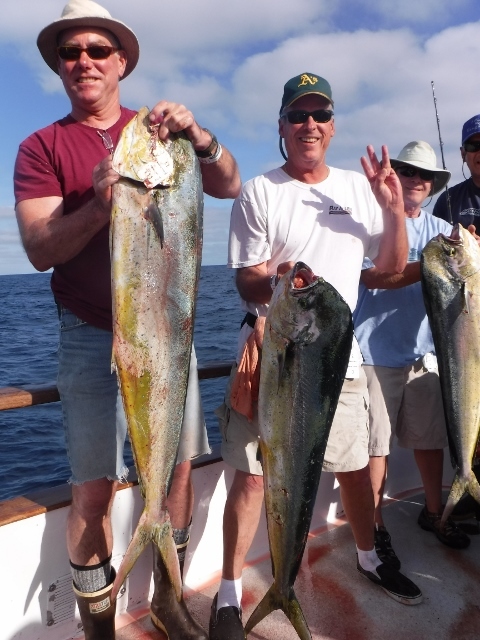 Everyone was able to land a Dorado and we even picked off a Wahoo! 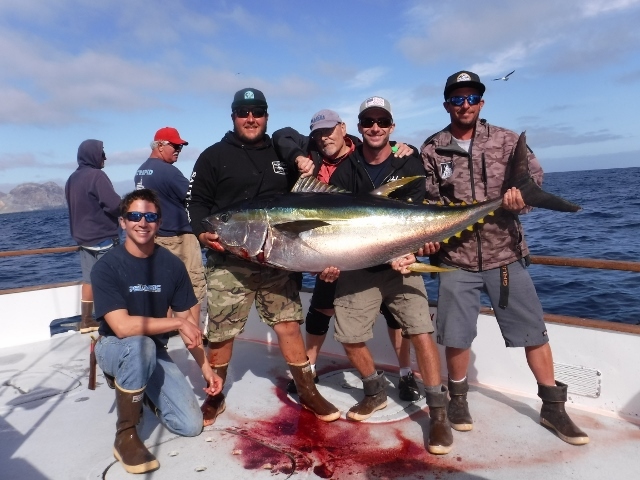 Here we have Mark and Jon with their beautiful Dorado! Jon wants to make sure his family knows he is having a blast so far on his trip!